Siri Funny | Does Siri stand for seriously? Tell me a poem Boxers or briefs? 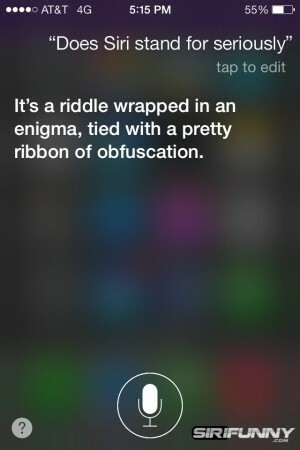 Does Siri stand for seriously?